Club Penguin Cheats by Mimo777 Club Penguin Cheats by Mimo777: Club Penguin Coins For Change Book! They are going to make a book filled with some of your comments and cool artwork! Saweet! They will then send the book to schools and libraries Club Penguin has help build with Coins for Change! Now, we can show kids from other countries how much we care by sending our messages! 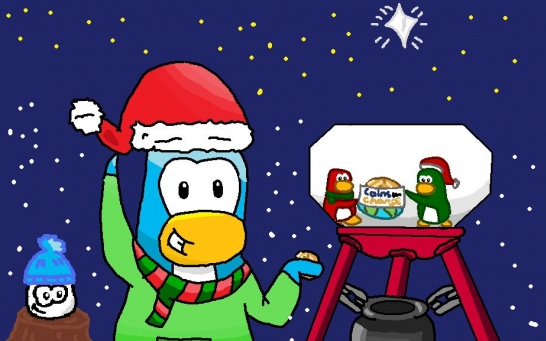 Just post your comment here or you can send a picture to Club Penguin here. Your comment might get chosen for this super amazing book! Awesome, huh? Are you going to submit a comment? How 'bout a picture? Oh yeah, Happy77 says they will let us see the book on the Club Penguin blog so we can read it too! How cool is that?